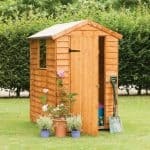 This intriguingly shaped building fits into the corner of almost any garden. 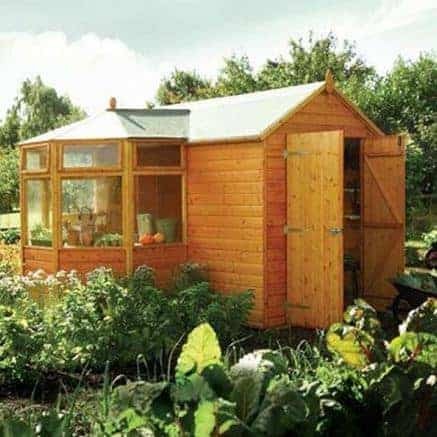 There are three styrene-glazed windows that open up and allow for ventilation for when you are working on your gardening tasks. 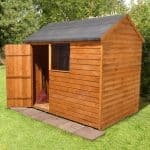 The potting shed also has three roof panels that are styrene glazed too. 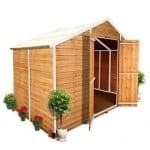 To add to the practicality, you can fit the double doors on either end of the building. 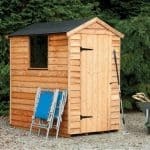 This is a potting shed, and there is a potting bench included for your ease of use. 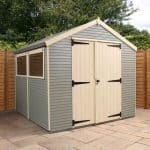 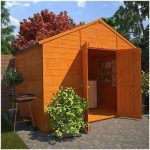 A lovely honey brown finish covers the shed, which will enhance any garden.